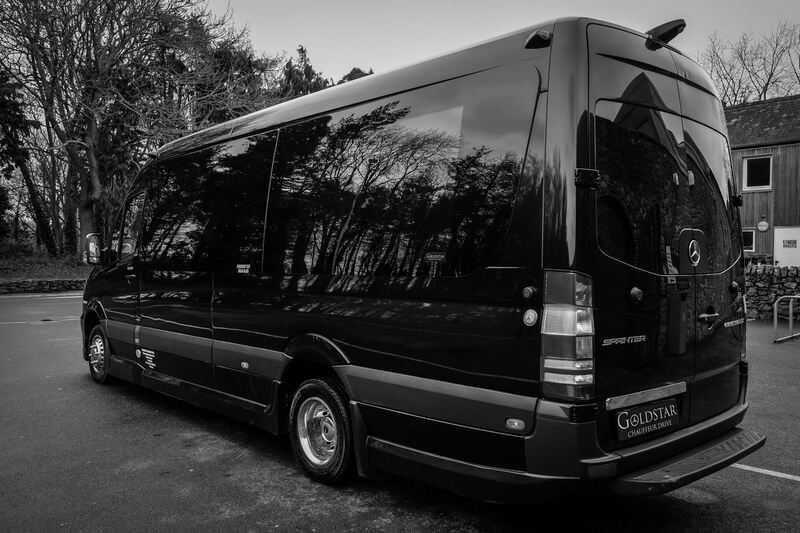 Our luxury mini coaches seat 13-16 passengers comfortably, with boot space facilitating luggage for 20 passengers. 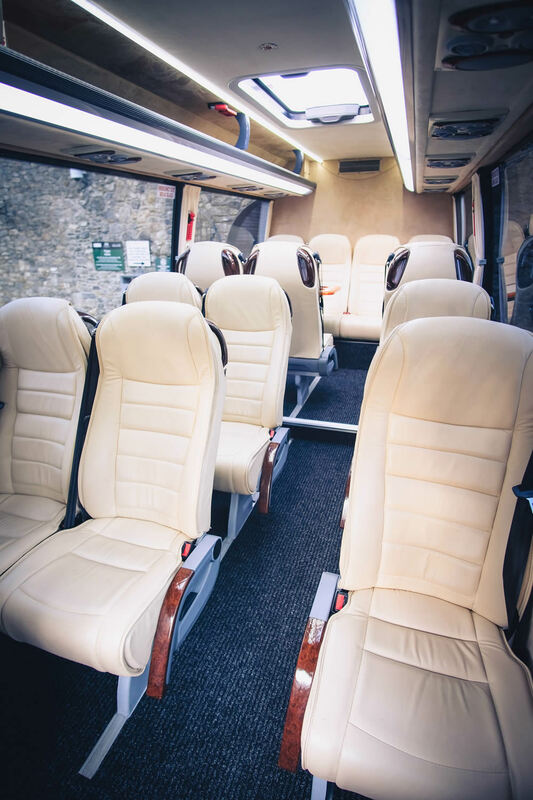 With ample head and elbow room, ultimate comfort zones for passengers are catered for. 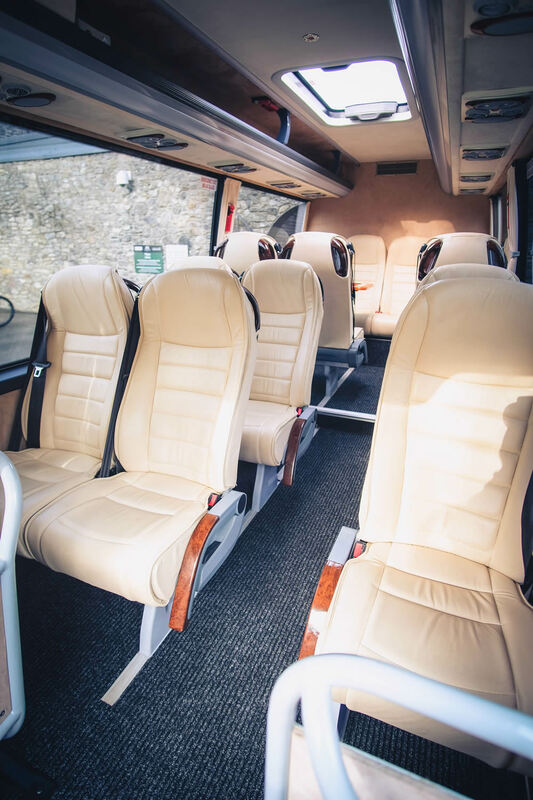 The perfect partner for group travel in comfort and style. 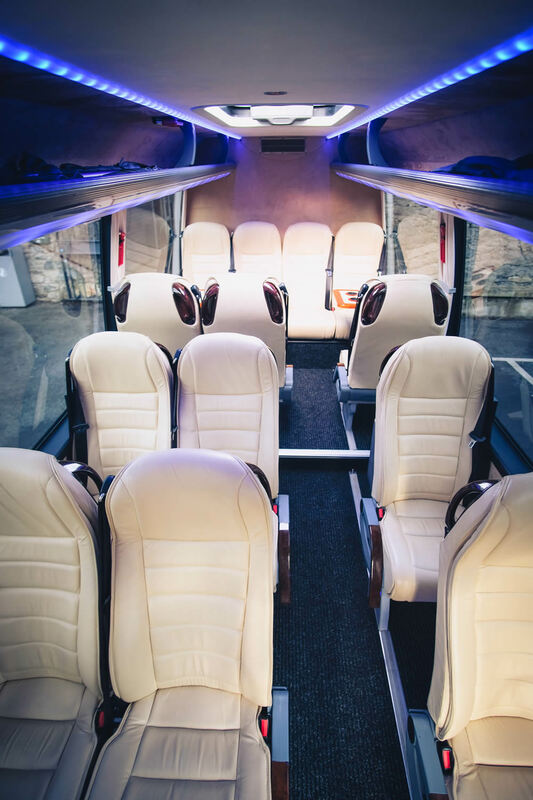 Features include: reclining seats, cup holders, multi-zone air conditioning, on board refrigerator and entertainment system. 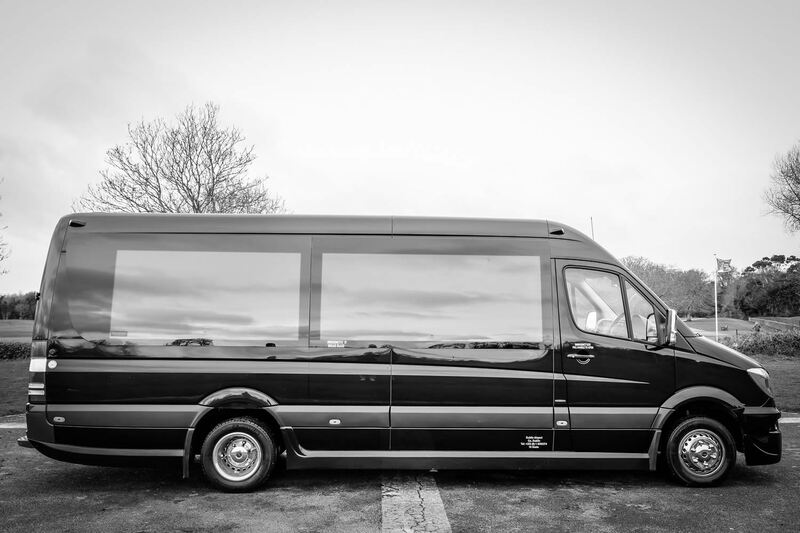 Our fleet includes Sprinter coaches with and without on board tables. 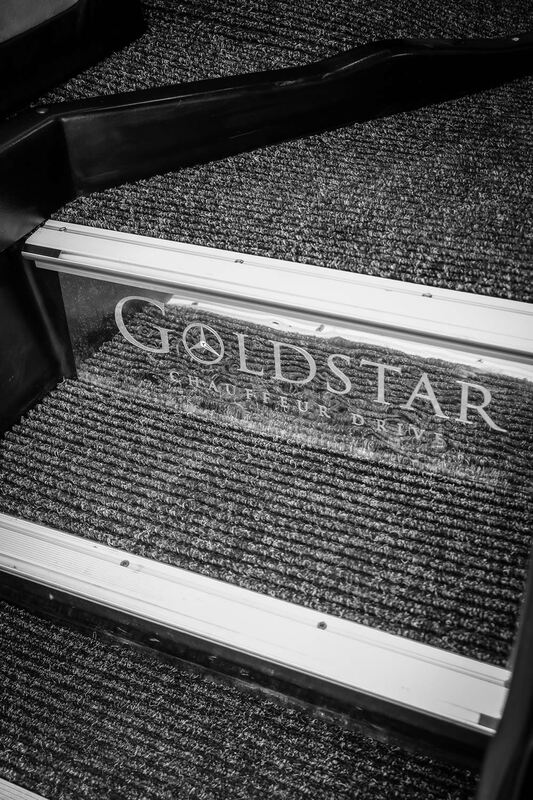 We can adjust set up, ensuring your specific requirements are tailored to. 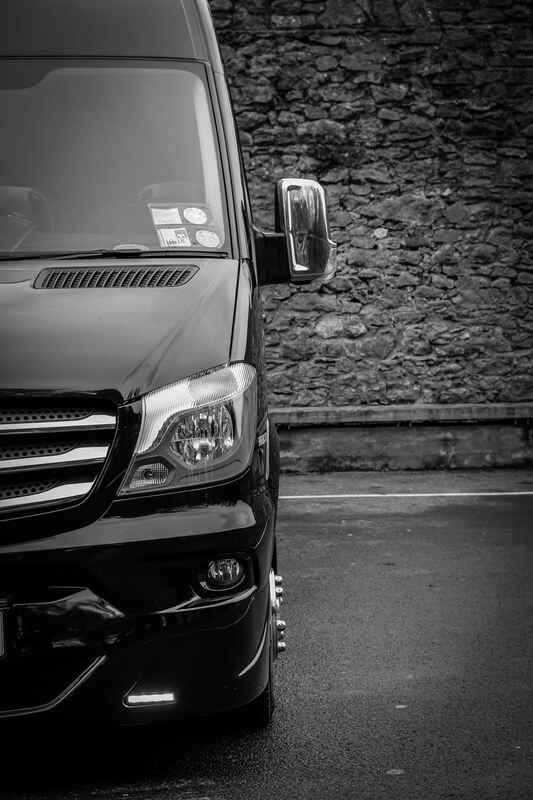 Up to 4 Hours hire / 6:30pm – Midnight. 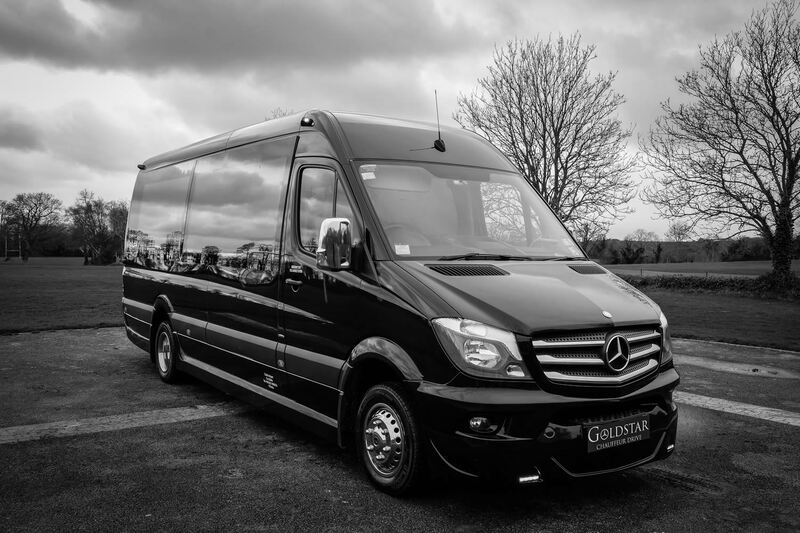 Rates are for travel within Dublin. Maximum 20km. 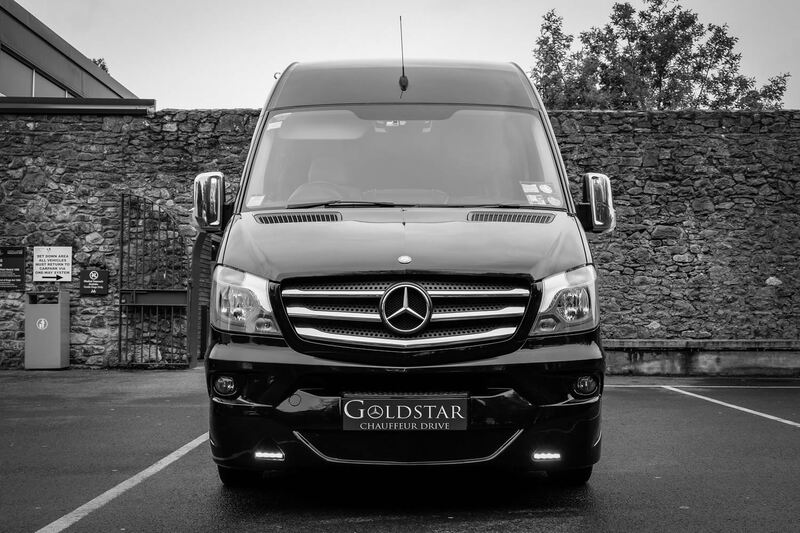 If you would like to travel with Goldstar outside of Dublin, please contact us directly. 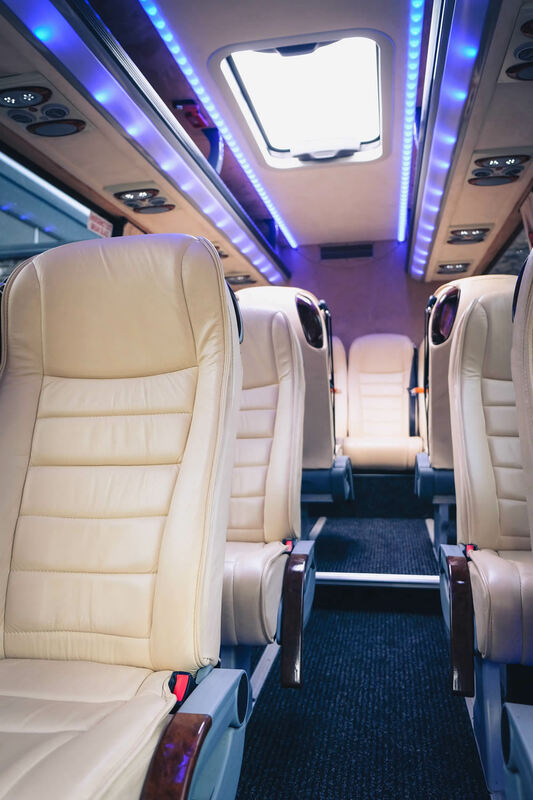 A 20% surcharge will apply between the hours of 22:00 and 05:00am.